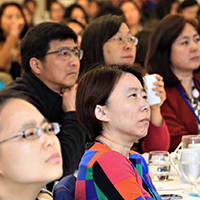 2016 signifies a year of change for our Chinese American community. 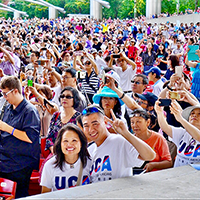 United Chinese Americans (UCA), a national coalition of Chinese Americans in 50 states, dedicated to serving, leading and inspiring our community and our country, is putting together an inaugural “Chinese American Convention” from September 8th to September 10th in Washington DC. Through this Convention, our community leaders, parents, youth, as well as our political leaders from across the country will meet, discuss, and set agenda to move our community forward. This is an exciting time for all Chinese Americans. The Convention is not just about UCA, or any one organization, but for our whole community to exchange ideas, learn from each other, and transform our community now. We know your organization has been a leader in your industry, area of interest, or community. We are reaching out to your organization first for you to become a supporter of this Convention. Soon, we will unveil your public support of the Convention in our “Convention Open Letter”. 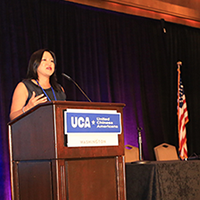 UCA will assign priority Convention registration privilege to your organization. This gives you the best chance to reserve your seat(s) at the Convention before we open our registration to the public in July. UCA has just unveiled the “Convention Open Letter”, in which it listed all the organizations who had pledged support to this Convention. Simply fill out the following form! After you pledge support to us, we will add your organization’s name to the supporters list. Supporting us also gives you the best chance to reserve your seat(s) at the Convention should you choose to come to this Convention. Please note, you have no obligation to attend the Convention by supporting us. What is next step? You will be contacted by UCA to confirm your support and be informed about how to register for the Convention, should you choose to.